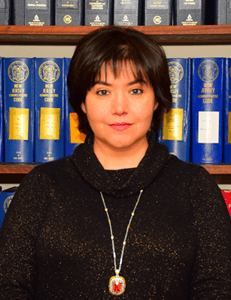 Anna Beydik, a Senior Paralegal, has joint MAYOLAW in 1999. Prior to MAYOLAW, Anna has been employed for 10 years by Vincent A. Schiano, former Chief Trial Attorney for the Immigration and Naturalization Service. Anna has 25 years of experience in Immigration field. She has a unique understanding and useful perspective for her clients as she immigrated to the United States with her family from Belarus. Throughout the years, Anna Beydik has assisted thousands of immigrants to obtain a legal status in the United States, including internationally renowned ballroom dancers, athletes, and scientists. Her personal and professional experience is dedicated to understanding of the legal and personal circumstances of immigrants. Since 2007, Anna Beydik is also in charge of the Bankruptcy Department for MAYOLAW.